Sofia L. Garcia age 77, of Beeville died Thursday March 21, 2019. 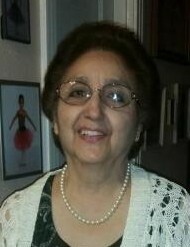 Mrs. Garcia was born February 17, 1942 in Port Lavaca to Sofia and Abundio Lopez. She was a member of El Buen Pastor Baptist Church of Beeville. She was proceeded in death by her parents; Sofia and Abundio Lopez, sister; Tomasita Acuna, three brothers; Ramon Lopez, Abundio Lopez Jr., and Simon Lopez. Survivors include two daughters; Dalia (Albert) Casias of San Antonio and Stella (Robert) Resio of Beeville; two sons; Ray Garcia of Beeville and Israel (Anitra) Garcia Jr. of Homer, New York; three sisters; Bernabe “Shirley” (Manuel) Martinez, Anita (Mariano Munoz) Ruiz and Paula Lopez all of Beeville and many grandchildren. Visitation will be held Saturday March 23, 2019 from 5:00p.m. to 9:00p.m. at Treviño Funeral Home with a prayer service there at 7 o’clock. She will lie in state at 9a.m. at El Buen Pastor Baptist Church with a celebration service at 10:00a.m. on Sunday, March 24th with Pastor Ricky Roman, officiating. Burial will follow at Evergreen Cemetery in Skidmore, Texas. Active Pallbearers: Derek D’Amore, William Gobel Jr., Jaime Hernandez, David Longoria, Anthony Cardwell (T.J.), and Scott Collins.